Appliques are done by using one fabric on top of another and embroidering them together. They create a different look and allow for a unique way to 2-tone a seat. We offer a flame design for $55 per set and we will be adding more! We now also offer the ability to applique logos on the seat. Small logos are $5 per applique added to the cost of the logo. 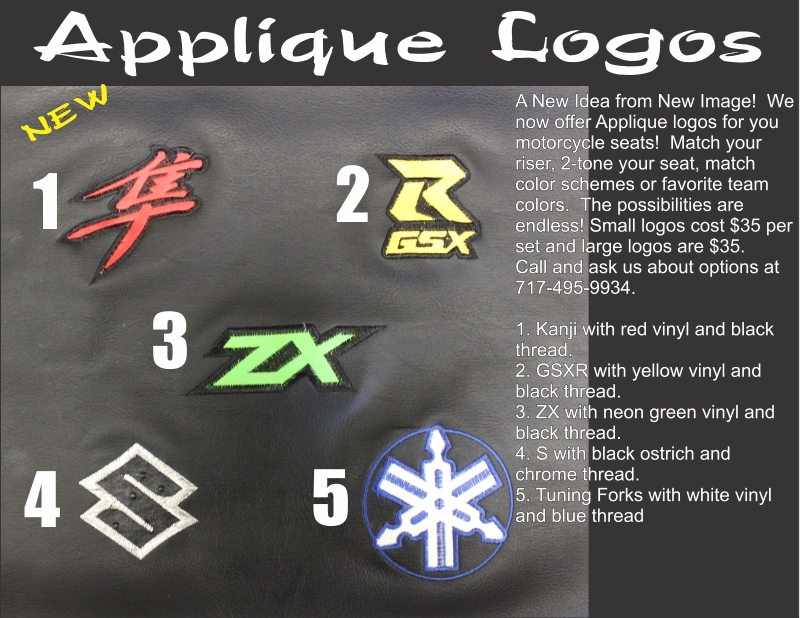 large logos are $10 per applique added to the cost of the logo.